Universal buffer as an alternative to using a standard pixel as a null pixel to add additional distance between pixel elements. 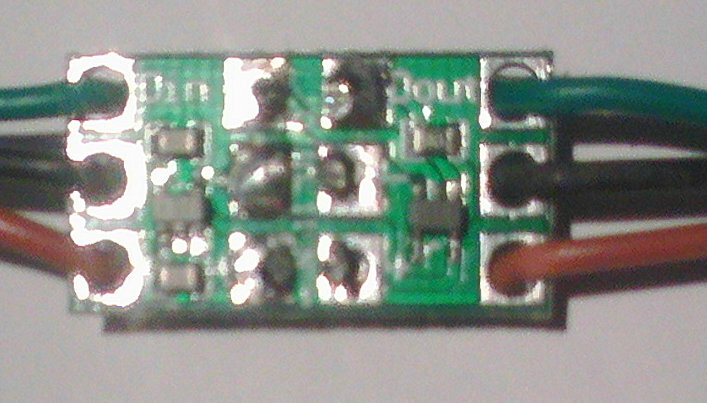 Can be used with 5V to 24V pixels and all pixel protocols. 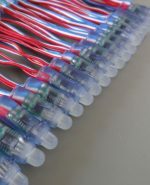 Only 1 data line is buffered so 2 null pixels are required if being used for 4 wire pixel protocols. 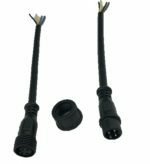 There are multiple connection options and relatively large (1mm2) cable can be used comfortably. 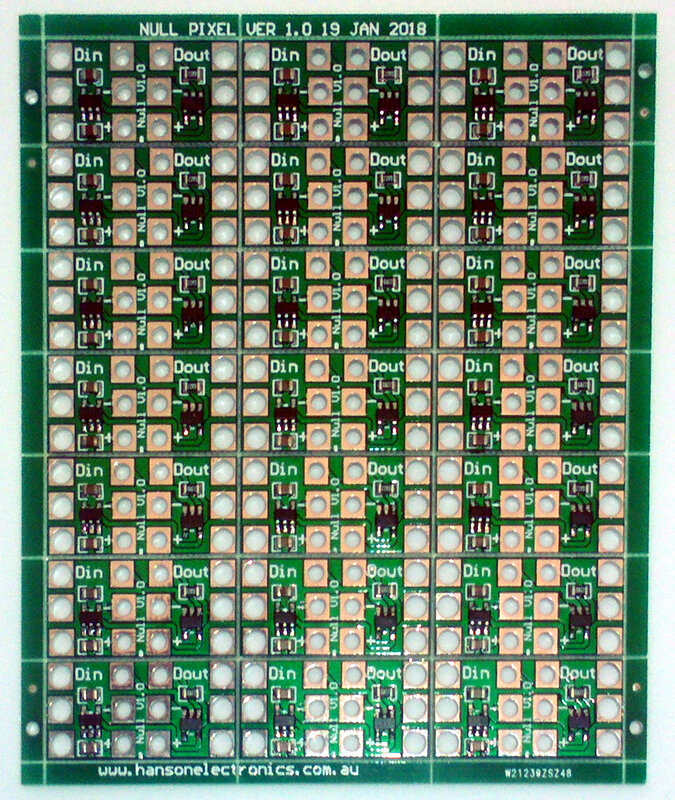 The pads are labelled with Din, Dout, – and + on the front of the pcb. 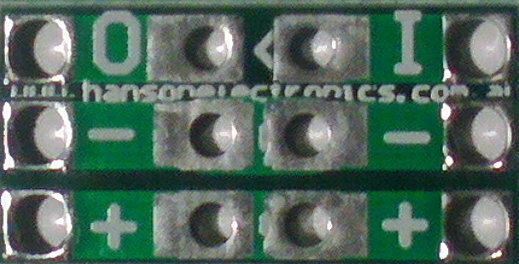 The pads are labelled with I, O and 2 by – and 2 by + on the rear of the pcb. The centre row of the pads is 0V/-. 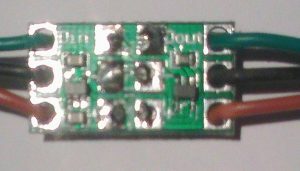 The + connection should be either 5V DC or 12V DC. 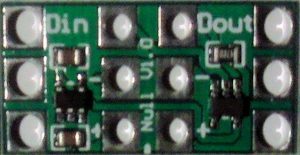 Failing to supply a reliable voltage of 5V or higher may produce inconsistent results. The above 2 images show the front and rear view of a ‘standard’ wiring to a Null. 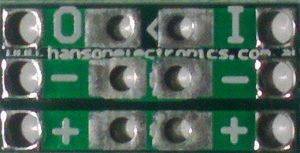 The wires can be wired flat onto the 3 pairs of pads in the centre of the pcb or they can be wired to the strain relief pads/holes. The Null Pixel Buffer provides the same function as the uAmp and F-Amp which are made by other suppliers. In all 3 cases the buffer function does not need to be configured as a null in the sequencer or pixel controller. 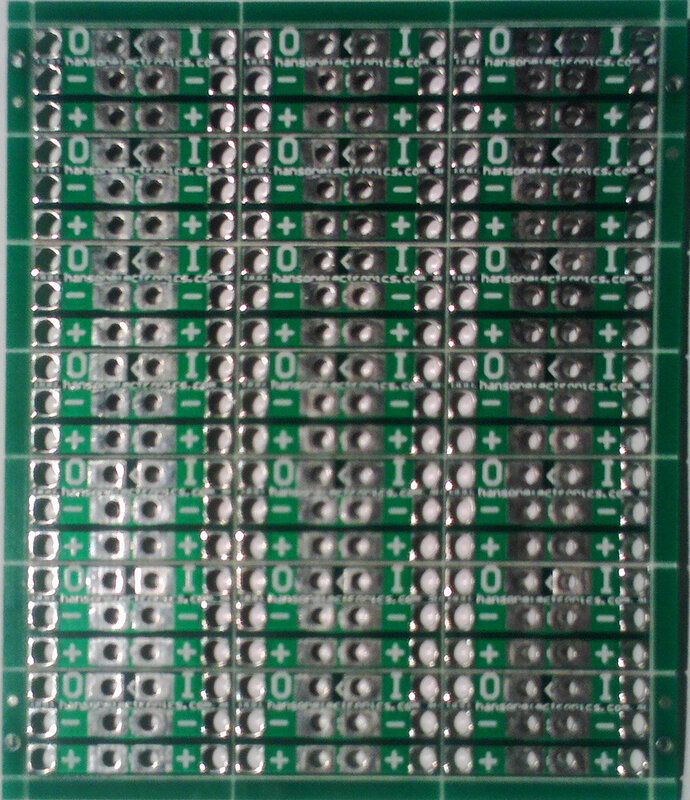 When ordered in multiples of 21 it will usually be supplied as a panel of 21 boards which a v-scored and can be snapped apart by hand.